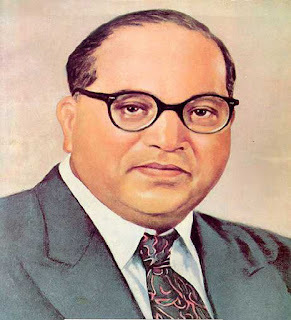 In its continued attempt to win over Dalits, the government is arranging a study tour wherein one hundred Dalit students will get a chance to visit institutes in the United States and the United Kingdom where Dr BR Ambedkar studied. The ministry of social justice and empowerment is conducting the visit called Dr Ambedkar Foundation's Study Tour. Students with at least a graduation degree will be visiting Columbia University and London School of Economics. The selection of students will be made by the University Grants Commission. The last date for submission of applications is June 30. In a week-long trip, 50 students will be sent to each place. The idea is to make the students understand how a Dalit boy rose to reach such institutions of repute in the UK and the US. The trip is to motivate and mobilize the Dalit youths to reach out to the world. To ensure that only those deserving make it to the tour, in the criteria laid down by the ministry says that the applicant with family income of not more than Rs 4.5 lakhs a year will be eligible for the tour. The UGC, which has been made the nodal body to call applicants, will also ensure that only those students who have never travelled abroad are chosen. The students will also visit Ambedkar's two-storey house in London that is being bought by the Maharashtra government. The architect of India's constitution had lived in the house during his years in London. Marking the 125th birth anniversary of Ambedkar, the ministry of social justice is also collaborating with the human resource development ministry to initiate a certificate course on the life and ideology of Ambedkar under the Indira Gandhi National Open University. An Ambedkar coin and a postal stamp will also be released to mark the occasion.